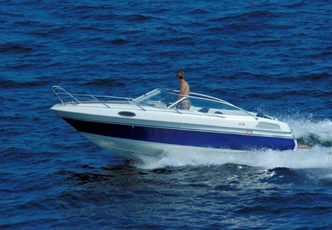 Small-craft (with or without trailer) can be covered on a stand-alone basis. Full comprehensive cover, including Private Use and Fishing Charters. Territorial limits - RSA, Namibia, Malawi, Mozambique, Swaziland, Botswana, Lesotho, Zimbabwe, Kenya and Tanzania, to a distance of 50 nautical miles off shore. International sailing yachts have limits beyond 50 nautical miles off shore. Medical Expenses for Insured or Insured’s passenger as a direct result of personal injuries caused by violent accidental external and visible means. Third party and Passenger liability is included. Accidental Death and Personal Accident cover for the Insured and all passengers - including fishing charters. Roadside Assistance Benefits following a roadside emergency, travel assist and weather-line. Insurance for hull risks and associated liabilities for all types of working vessels. Vessels insured range from ocean-going and charter vessels used on a commercial basis, harbour craft, workboats and tugs, coastal trading vessels, diamond recovery vessels, tourist/charter vessels, passenger ferries and fishing vessels, etc. etc. Protection and Indemnity, Collision Liability and War cover can be included. If your business involves the transportation of goods, whether placed in your own car, in a truck, by sea or via the postal system from one destination to another, you would need goods in transit Insurance cover as this is important for protecting the financial interest you have in the goods and your business.